Easy and simple sewing tutorials and projects. So my husband and I recently moved into a new apartment…in an effort to be more “adult”, we got rid of all our furniture and decided to upgrade to couches and chairs that didn’t come from the cesspool that is Craigslist…been there, done that…and it’s gross. We’ve yet to purchase a couch for our new place, but we still needed a place to sit and chillax while we watched TV or what have you, so I decided to make some floor poufs. I had a ton of extra fabric laying around and these poufs put a serious dent in my stash, which my storage closet very much appreciated! 😉 They’re great for beginners and involve very little measuring, which my brain very much appreciated! Then you just run this baby through the sewing machine! Start by sewing all the side panels to the bottom square, then sew the top panel to the top side panel. Finish by sewing the top square to the front panel, being sure to leave a good 4 inches or so to turn right-side-out and stuff. Once you’re done sewing, turn your piece right-side-out. Fill with stuffing of your choice – I used Poly-Fill (I used 3 of the big bags). Once filled, sew up the remaining hole and enjoy! If your summer is anything like mine, you’re gearing up for a few months full of baby showers and birthday parties. It seems like spring has sprung and almost everyone in my circle is settling down and starting families of their own. And, as a child of the 80s and 90s, I feel like I was very spoiled in terms of sheer toy awesomeness. The toys of my nostalgic years just don’t match up to the toys of today…and I just can’t see spending all this money on a toy that was built to last no more than 2 months. SO, I’ve resulted to creating handmade toys. Yup, that’s right…making fun play things by hand. Crocheted amigurumi characters, sewn stuffed toys, and fun games for kids are on my to-do list as I craft up some fun gifts for family and friends for these upcoming celebrations and holidays (CHRISTMAS IS COMING). To start, I’ve been working on this cute matching fish game, reminiscent of the 90s board game “Let’s Go Fishin’”. While these fish won’t move around and chomp on your line, they will look beautiful lying on your floor! 😉 Great for teaching kids how to match colors, patterns, or words, this fishing game is both fun and educational for young minds…best of all, it’s super easy to make! Using your template, cut out as many fish as you’d like. Since you’ll be sewing two sides together, make sure you have the fabric positioned correctly to give you two uniform fish (outsides facing in). 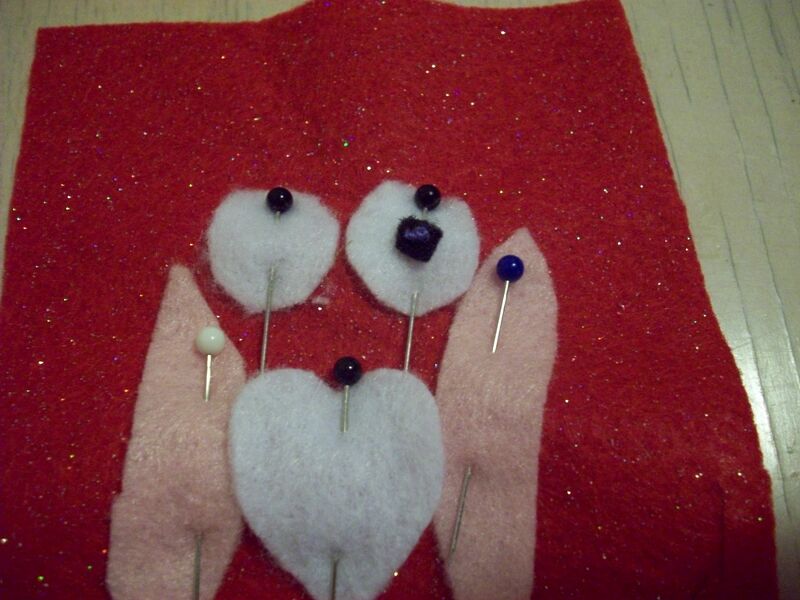 Sew the fish together, leaving a small hole for stuffing. I found it helpful to leave the hole on the bottom of the fish. Turn your fish rights side out. Stuff your fish lightly and then continue sewing it closed by hand. HELPFUL TIP: To stuff the tail, I used the arm of my sunglasses to shove the stuffing into the tail. Worked perfectly! Using needle and yarn, sew a small loop on front of fish. You can also use hot glue to attach numbers, words, or patterns to your fish…use your imagination! To create your pole, wrap yarn around one end of your wooden pole. Use glue to secure, if necessary. On other end, attach folded wire. This is what your kid will use to “hook” onto the loops on the front of the fish. Here’s a close-up of the hook. 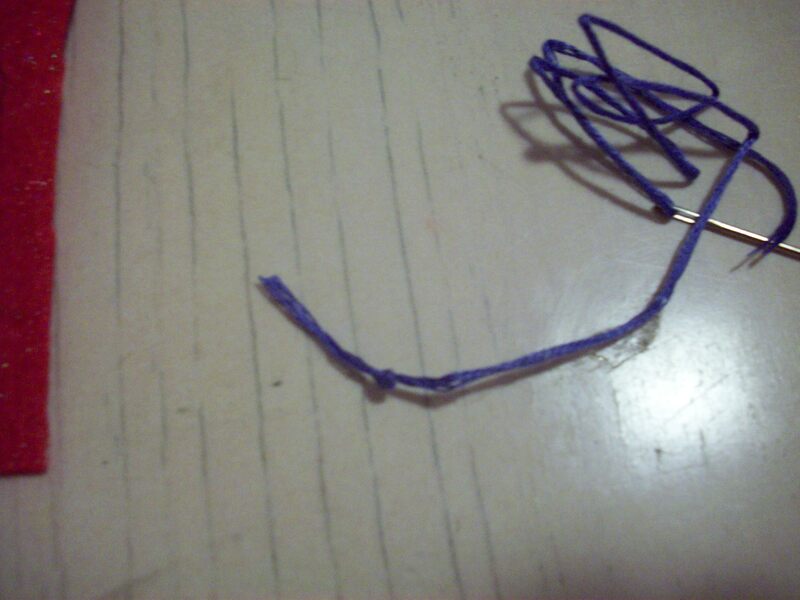 I just wrapped the yarn around the wire, then folded the wire up to secure the yarn. And there you have it! This is a super easy and fun project and it makes a great gift idea for growing young minds. So as I continued to work my way through my closet for spring cleaning, I came upon this old shirt which I love, but never wear anymore. I didn’t want to cut it up too much, so I decided to make a cute little bag out of it! These tee shirt bags are durable and awesome for keeping in your car for last minute grocery store runs. I’m apologizing now for my terrible sewing directions for this tutorial! If you have any questions about any of these steps, let me know and I’ll try to explain myself! This is a great project for all those tee shirts that you love, but never wear. I’m thinking specifically of those meaningful high school shirts, or shirts that a loved one gave you. It’s great repurposing craft that’s easy to make and fun to show off! 1. Okay, first you want to find a shirt that you love that you just can’t wear anymore. For me, it’s this adorable giraffe tee. I love it but it’s just not appropriate for me to wear to work, etc. So first you’re going to want to lay it out flat so all the seams match. 2. Next I carefully turned the shirt over and pinned it all around. I started at the bottom, then folded the sleeves back and pinned those down, then pinned the top (I also cut off the top collar before pinning, since I knew I wasn’t going to use it. 3. Then I cut along the folded seam on the sleeves and removed them, because they were just nasty! 4. So this is what my shirt looks like now…no collar and no sleeves. 5. 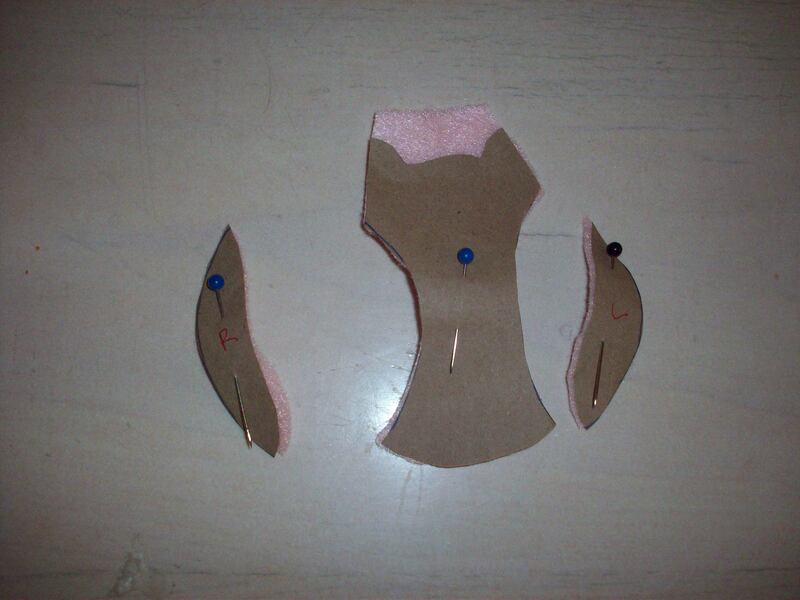 Next take out all the pins and then repin the front and the back pieces to the inner lining fabric of your choice. I’m using some old fabric I had on hand from when I made my shower curtain. 6. With some extra discarded tee shirt fabric from the bottom of the shirt and the top, I created two sides and a bottom, which I also pinned to the lining fabric. Here are all the pieces: the back, front, two side pieces, and bottom piece. 7. Next sew all the pieces to the lining. This will give your sewing machine the workout of its life! 8. Once all your pieces are sewn to the lining, you’re ready to assemble! Starting with the front of your purse, place the bottom piece front sides together onto the bottom of the front of your purse (sorry if that’s confusing!). Sew along the seam you already made to attach the bottom piece to the bottom of the front piece. Repeat this on the bottom of the back piece of the bag. Here’s what your purse should look like now. 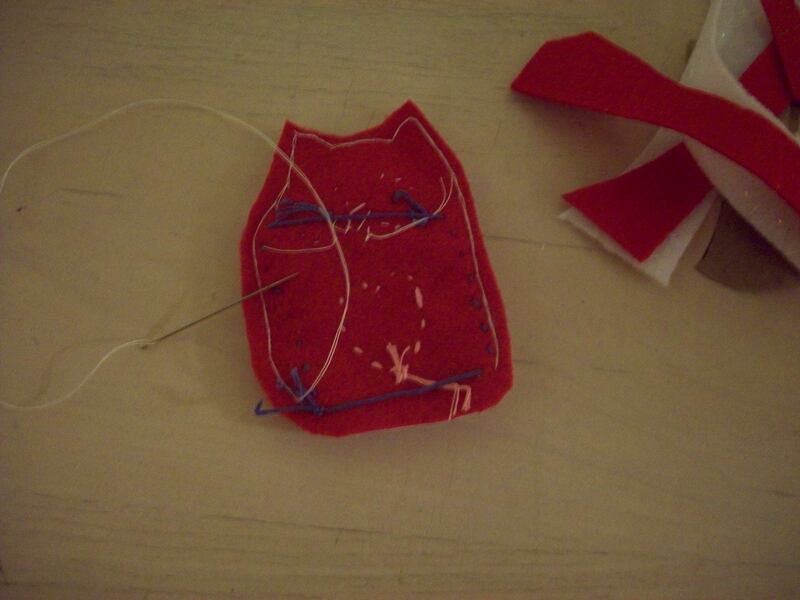 Just a reminder, all your sewing should be done on the inside of the purse…as is the case in most sewing projects. 9. At this point, or really anytime before this, you can hem the top portion of your purse. Fold the top down about a half an inch and sew so you have a nice clean line at the top of your purse. You could also do this step before you begin assembling. 10. Next sew the side pieces on, first sewing them to the front piece and then the back. It may take some maneuvering once your purse is nearing completion, but just be patient and work slowly. 11. I then took some extra lining fabric and created handles. Sew those into place and turn your work inside out so the lining is inside…and there you have it! A fun and stylish tee shirt bag! I’m sorry if these directions are confusing and don’t make sense! Most of my sewing projects are very spur of the moment and unorganized…so if you have questions about anything, please let me know here or on the Facebook page. I so vary rarely make fabric or sewing crafts, so I have a ton of left over fabric scraps from crafts I’ve made a while ago. In an effort to clean out my fabric stash and try some new crafting techniques, I decided to make these cute little owls (because I need MORE stuff just hanging around my apartment!). I just love these cute little felt owls, though! I got so carried away that I ended up making one for almost every holiday! They’re so easy to make and they’re the perfect last minute Valentine gift for your sweetie! 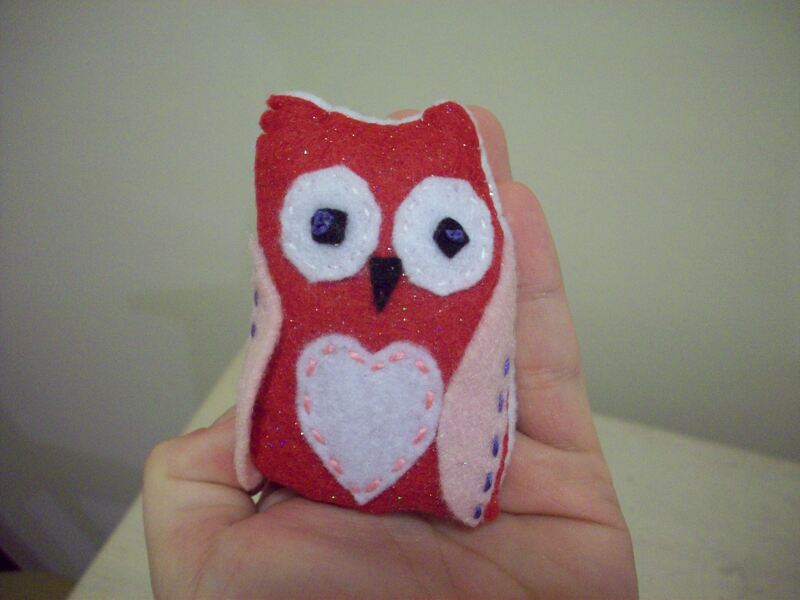 These little felt owls also make great ornaments or gift tags. 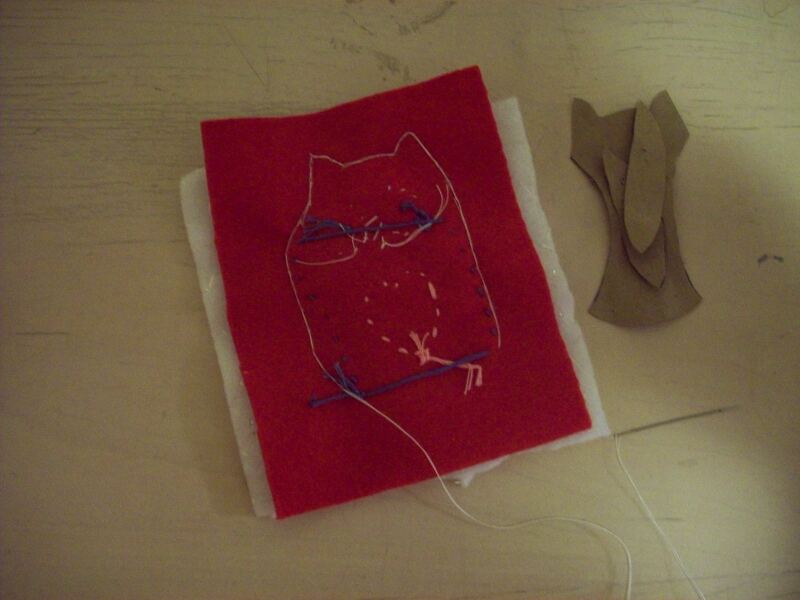 While I made my owls by hand, you can easily use a sewing machine. I was just too lazy to get my machine out for these little guys 🙂 So gather up your fabric scraps and let’s get to bird makin’! 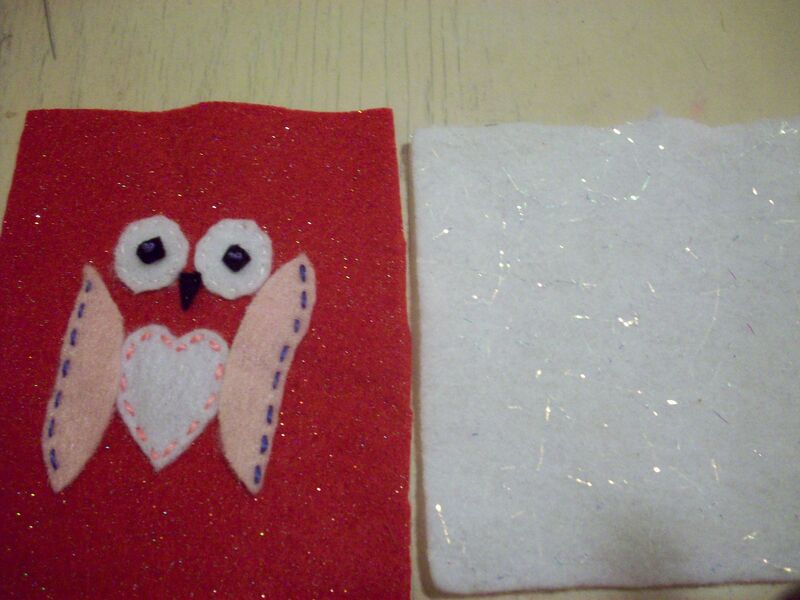 For the sake of the season, I’ll show you how to make a Valentine’s owl, specifically the one in the second row all the way to the left. Here’s a picture of my template, in case you want to print it and use it yourself. You might have to scale it to the size you’d like. 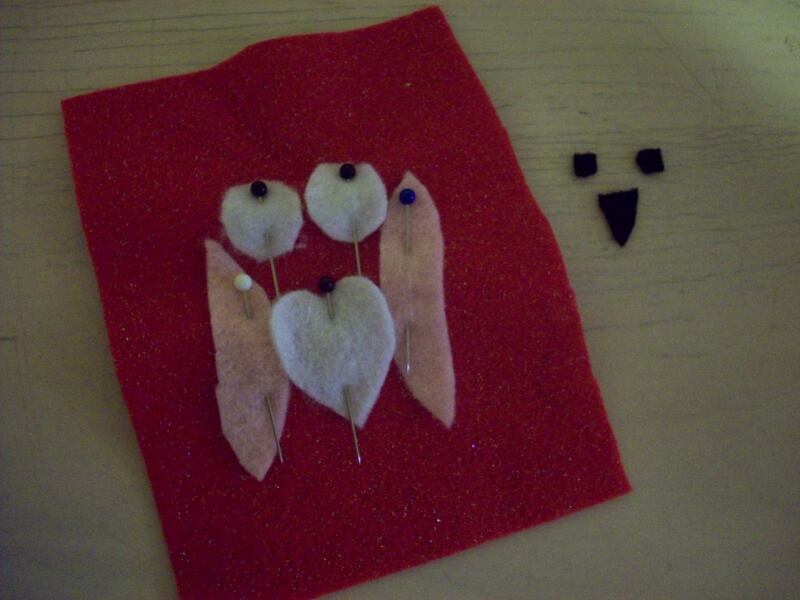 Pin your template to the felt you’d like to use for the wings of your owl. I marked the right and left wings just in case! Cut your wings out like so. Save all the extra pieces because you’ll need them later. 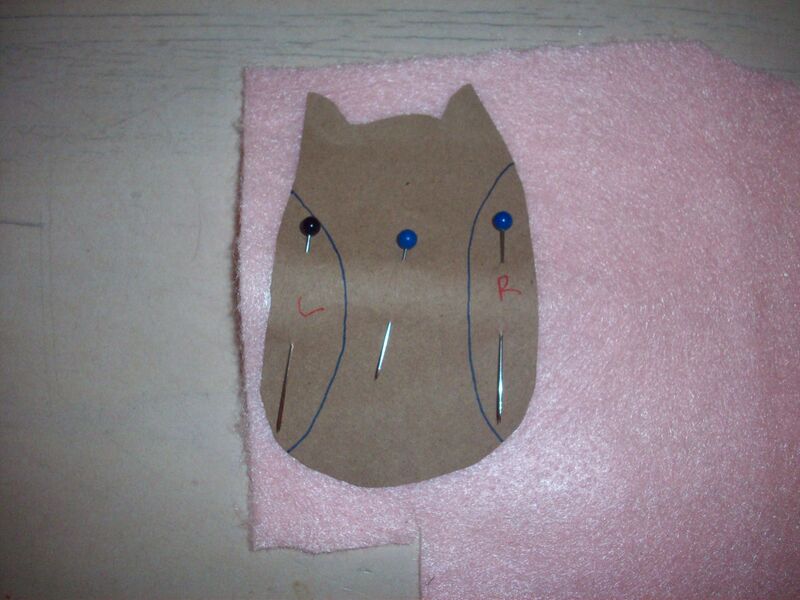 Pin the middle template of your owl to the felt you’d like to use for the body of the bird. You’re using the main template to help you pin your wings in place. 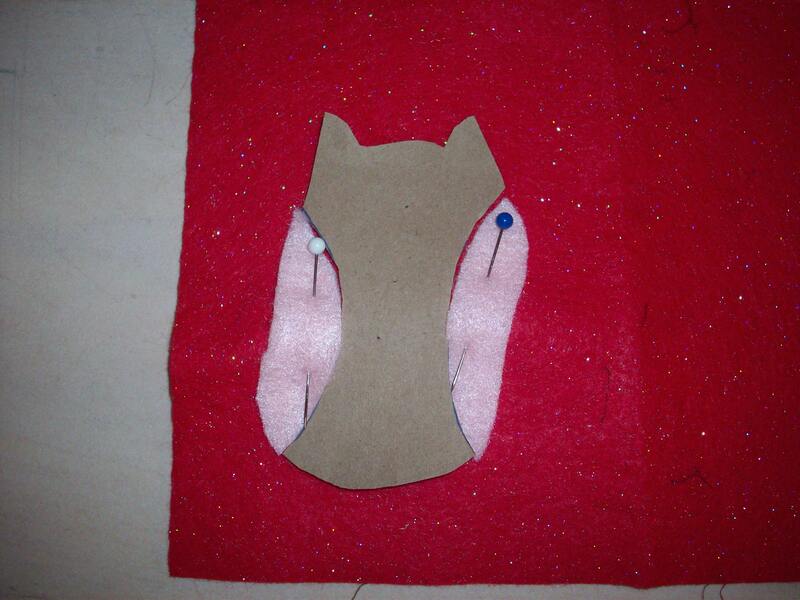 Using your white felt, cut out two circles, about the size of your thumb. These are for the eyes. 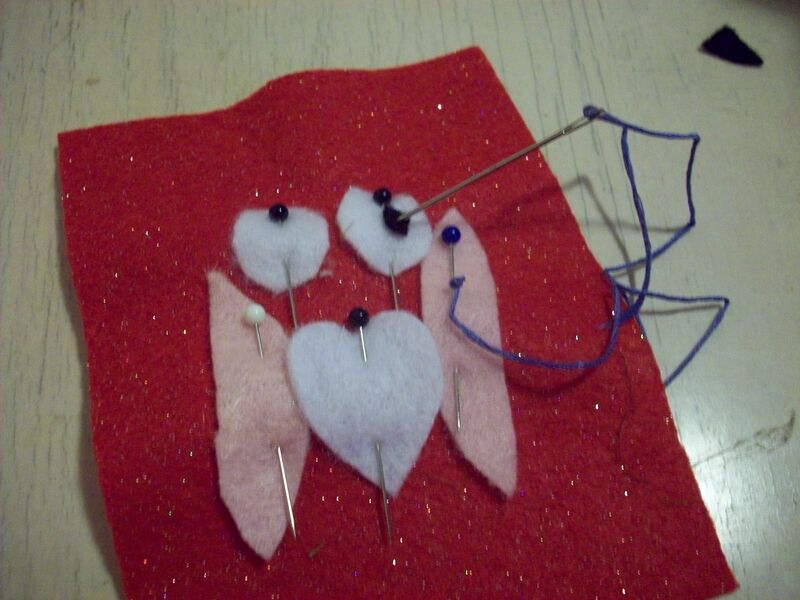 Pin those in place on the body of the bird (remove the main template before pinning on the eyes, obviously!). To attach the small black circles, use some colored embroidery thread and tie a knot at the end. I tied mine three times just for safe measure! 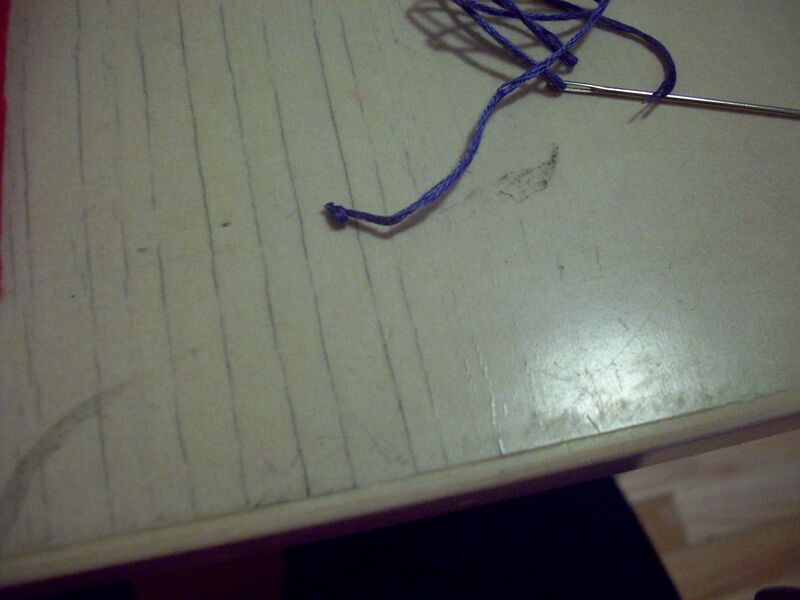 Cut off the small tail and string the thread through the black dot so the knot is on the OUTSIDE. Then string it through the center of the white eye. Secure and repeat for the other eye. Now it’s time to assemble your owl! 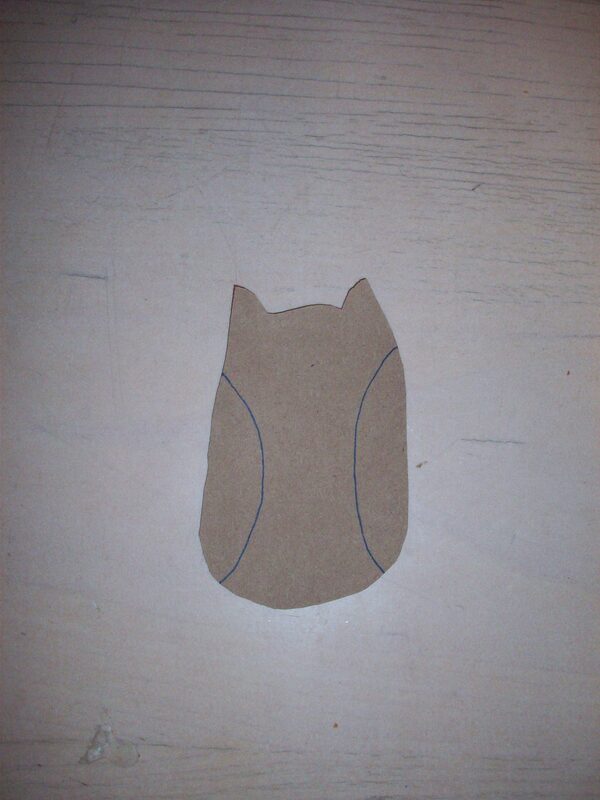 Place the owl face down on the back fabric. You want both front sides facing each other and the back sides facing out…that way when your turn it inside out, the front sides are on the outside! Pin the segments of the cut templates back into place. 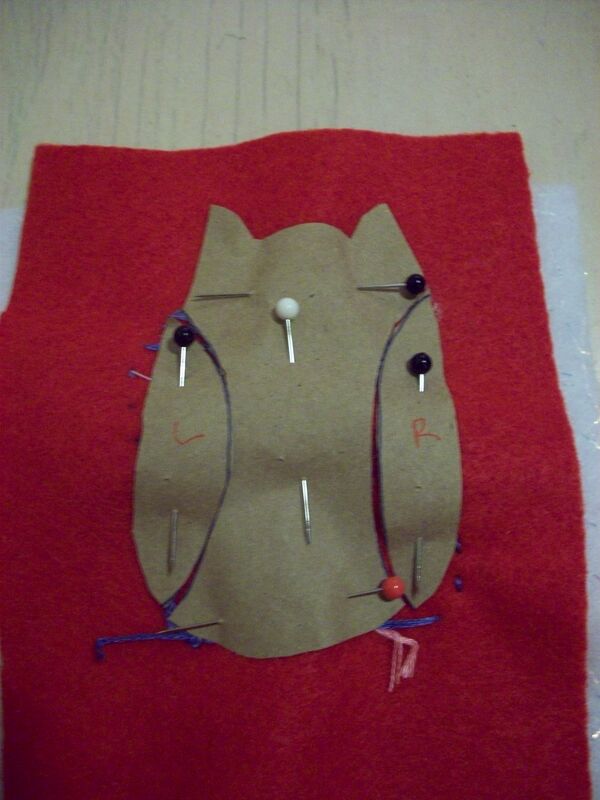 Sew around the template, stitching the two fabrics together. You can use a machine for this, but I didn’t mind doing it by hand. Leave about 2 inches of room for stuffing. 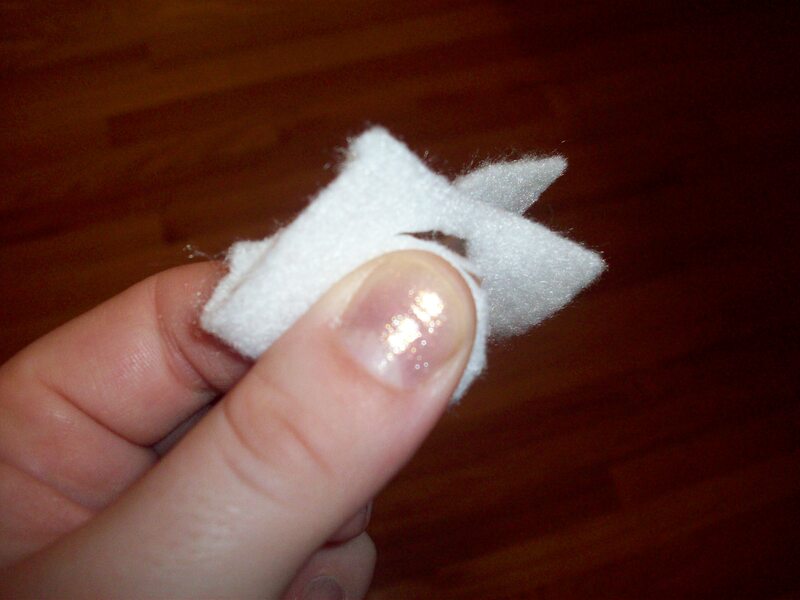 Cut about a quarter of an inch around your stitching to remove excess fabric. Remove the template and discard. Turn your owl inside out so the wrong side is now inside and the right side is on the outside. 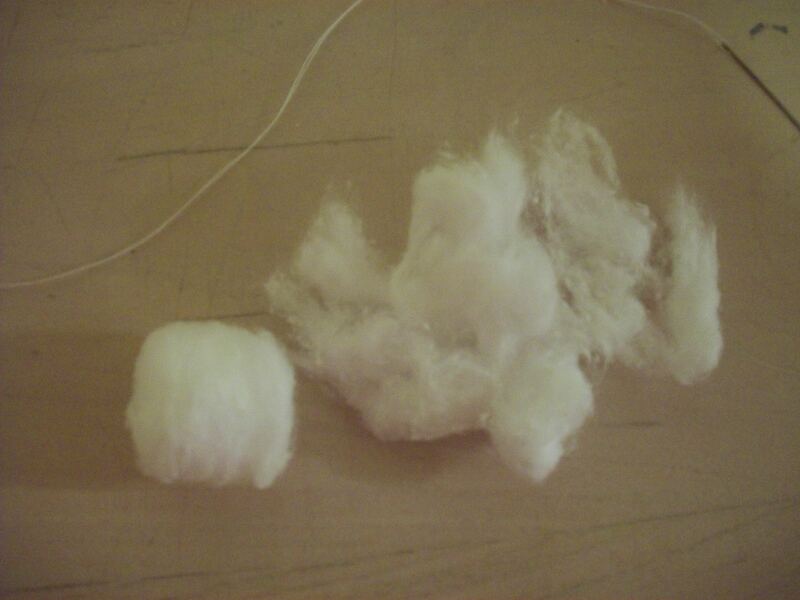 Pull your cotton balls apart so they’re long and stringy. Stuff some into the ears of your owl first, and then stuff until he’s full! 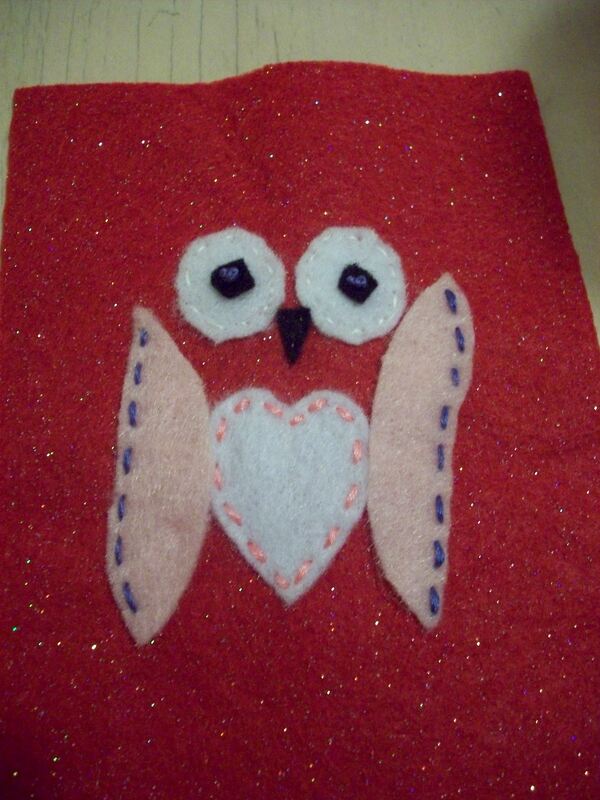 Sew the hole closed and you’ve got yourself a cute little owl!